Enter your details below to sign up and become a part of this historic community. 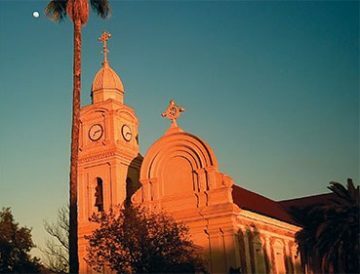 People visit New Norcia for many reasons; for spiritual retreat, to join a tour and see inside the magnificent buildings or sometimes just to walk around the town and enjoy the peace and beautiful scenery. In this section you will find all the information you need for your visit to New Norcia. Details of places to eat and places to stay, details of the town tours and information about some of our favourite things to do in Australia’s only monastic town. We recommend your first port of call is the Museum & Art Gallery to speak to one of the staff about all the attractions and experiences New Norcia has to offer. The Museum & Art Gallery is also a Visitor Information Centre and is the point from which the town tours leave. There are so many different options for accommodation at New Norcia. The Hotel, with its comfortable simple rooms, home cooked meals and neo-classical architecture is a perfect place for couple and families, its scenic deck and heritage veranda a perfect place to while away sunset with a New Norcia Abbey ale or a wine from the Abbey range. The Guesthouse is perfect for a quiet, retreat like experience, a world away from the rigours of modern life. You can join a Benedictine retreat here or be housed in the Hermitage for a silent retreat. Groups of 15 -100 can be accommodated in the Old Convent and the historic boarding school colleges. Please click on the individual areas for more information. Hospitality is a tenet of the Rule of St Benedict, the Rule by which the monks of New Norcia live, so wherever you choose to eat in town, our aim is for you to experience warm monastic hospitality. From the earliest days of its foundation New Norcia has been focussed on education. 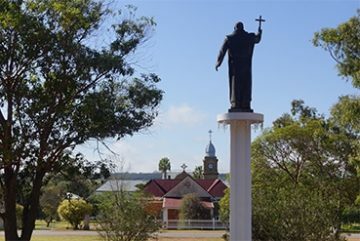 The first Abbot, of New Norcia (Rosendo Salvado) established the Aboriginal girls and boys schools and the second Abbot of New Norcia, Fulgentius Torres built and opened the European girls and boys schools, which closed in 1991. 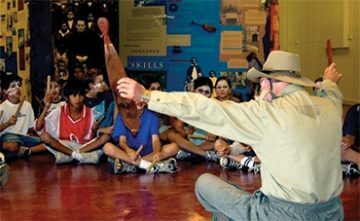 Since the closing of the schools, New Norcia's school buildings have been utilised for camps and groups and this section contains all the information you need if your group is interested in staying in one of the colleges or undertaking one of the education programmes. However, New Norcia also has a tradition of research and academia, with its impressive archival records and library collection, and scholars and researchers alike have delighted over the years in the information available in the town's records. This section also provides information on the archives and library and provides link to forms which will give you access to the records of New Norcia. 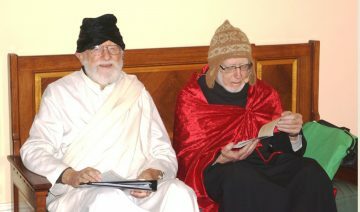 New Norcia is Australia’s only monastic town and has a unique heritage. Founded in 1847 by Spanish Benedictine Monks, the town has had many purposes; a mission, a monastery, a provider of education and now as a place of spiritual retreat. Delve into the town's unique history, discover the ongoing and completed work necessary for the upkeep and restoration of this special part of Australia. But it is not only the majestic buildings set amongst the Australian bush that sets New Norcia apart; its history is also encapsulated in the archival records of New Norcia and in the library and museum collections. In this section we also have information about how you can donate to New Norcia to help the Community restore and maintain this treasure. We hold a diverse array of events throughout the year at New Norcia. In 2019 we will be hosting a full programme of retreats, a Writers and Arts Festival and the education programme presented by the Institute for Benedictine Studies, plus the Studies Journal Launch in November and a few other surprises! 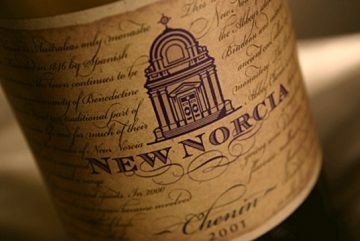 So watch this space for all the updated information about "What's on at New Norcia". 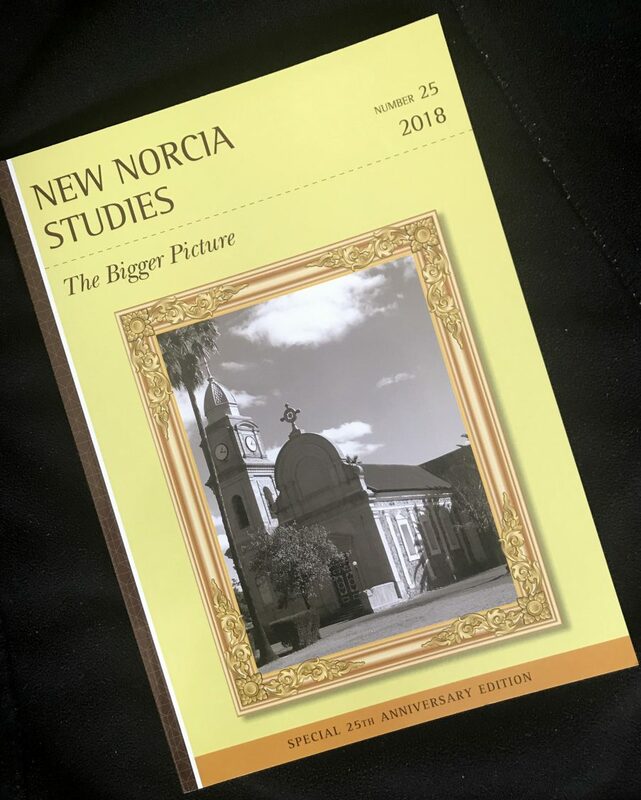 The 25th edition of New Norcia Studies was launched at the Palms Community Centre in Subiaco on Thursday, 8th November. Abbot John opened the proceedings by welcoming nearly 100 guests – the highest attendance we have had in years – to the special 25th Launch.Sadly, Mayor Penny Taylor was not able to attend, but former mayor, Heather Henderson, now a Freeman of the City, very kindly accepted the invitation to come and give us her presentationIn view of the special nature of the evening, it had been decided by the ARP Committee that we needed a different perspective from the Guest Speaker, so the decision was made to invite the editor of the last six or seven journals, Joan Oakland. Joan gave a wonderfully illuminating insight into what is involved in putting a journal together and it was interesting to observe the authors of the articles, none of whom had ever met Joan before, listening - utterly absorbed in what Joan had to say. Joan had also edited A Town Like No Other (even designing a new cover for it), so the third edition of this very popular book was launched alongside the Journal and, as a Launch Night special, everybody who bought a copy of the Journal also received a complimentary copy of the book. As usual, Sandi Found and her predecessor, Kerry Plantinga, from City Of Subiaco did a magnificent job in putting the evening together so we are most grateful to them for that; “that” including the RSVP list, booking the musicians (Très Classique who were excellent as always), and the catering. On behalf of the ARP Committee I would like to thank not only Sandi and Kerry, but also the City of Subiaco who, once again, have very generously hosted this event. And, finally, as the Abbot said on the night, as always, our biggest thanks, though, go to our guests for coming to the Launch and for continuing to support New Norcia and its archival research. 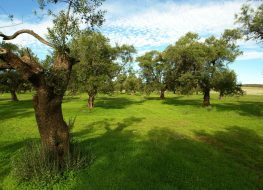 Volunteers Needed for Olive Tree Sucker Bashing! 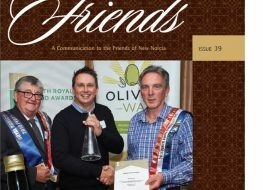 The 2019 Friends Magazine is out NOW!